For some people, shopping in stores and on your computer isn’t enough. Why not do it on your mobile phone, too? To each their own — as long as you maximize your savings! These shopping apps help you browse styles, compare prices and, in some cases, earn rebates on your purchases. Whether you’re looking for clothing, shoes, kids’ stuff or housewares, these shopping apps want to make your bargain-hunting process a bit easier. Ladies, these clothes-shopping apps will float your fashion boat. Fashion, makeup and home decor are for sale on Wish at a reported 50-80% off mall prices. Find the app on iTunes, Google Play or Microsoft. Canopy users curate their favorite finds from Amazon, making that endless browsing pit a little easier to bear. It’s on iTunes and Google Play. If you don’t know the right words for what you’re trying to find, Donde Fashion allows you to search clothing by selecting visual features. Find it on iTunes. Keep’s tastemakers compile trending goods and styles into one streamlined showcase. Organize your wish list, or peek at what fellow Keepers are coveting. Most products are reasonably priced, but there are also quite a few splurge furniture and fashion items. Keep is on iTunes and Google Play. Do you scroll through Instagram and Snapchat and covet all your favorite fashion influencers’ looks? LIKEtoKNOW.it can help you shop it with a simple screen shot. Get it on iTunes. Want to peruse shoes without bopping around retailers’ sites all day? Try these apps. Stylect is a hub for shoes of all styles and prices alongside other fashion items. The app notes sales and discounts so you can click to buy when the price is right for you. This app is on iTunes and Google Play. Sneaker lovers will keep this app on their home screens. GOAT gets the real name and address of all sellers to encourage a safe space to buy and sell authentic kicks. Sneaker authenticity is even verified by the GOAT team in person before it ships the item directly to the buyer. The app is available on iTunes and Google Play. Gents, we didn’t forget about you. Check out these apps focused on men’s clothing. JackThreads curates up-and-coming men’s fashion brands alongside its own private-label clothing and shoes. Get it on iTunes and Google Play. It’s free to sign up for Touch of Modern, which offers discount prices on tech gadgets, fashion accessories and more by working directly with designers. The app is available on iTunes and Google Play. Buying and selling all in one place. Buy everything from books to furniture from local sellers. Want to make a few bucks for yourself instead? It’s totally free to list items on Letgo, and it only takes about 30 seconds to create a listing. Get it on iTunes and Google Play. From kids’ clothes to cars, OfferUp connects local buyers and sellers in this online marketplace. OfferUp also makes it easy for you to list your own items. Get the app on iTunes or Google Play. Shopping’s more fun when you can save while doing it. Flipp delivers digital circulars from more than 800 retailers, including fashion powerhouses like Macy’s and Target. You can save items you like in the shopping list feature, and the app even has its own coupons. Get it through iTunes or Google Play. Download the Ibotta app, and unlock rebates at stores like Kohl’s, Clarks and PUMA. Simply scan item bar codes and your receipt after shopping, and cash out via PayPal or Venmo once your balance reaches $20. Ibotta is available on iTunes and Google Play. Shopami organizes all those retailer emails in your inbox and notifies you of deals at your favorite stores when you’re nearby — or when a sale’s about to end. Find it on iTunes and Google Play. Use this bar code and QR-scanning app to access prices and reviews on thousands of items. You might find yourself scanning things around the house just out of curiosity. Get ScanLife on iTunes or Google Play. BuyVia helps you save money on popular products from large retailers like Target, Walmart, Amazon and more. You can scan bar codes in stores to compare prices and price-drop alerts or browse coupons for online and in-store shopping. Access the app through iTunes and Google Play. Choose your favorite stores to get notified about coupons, local weekly ads, sales and more in one place. Shopular is available on iTunes and Google Play. Save coupons, locate your favorite products and check local store hours on the Retale app. Get it on iTunes or Google Play. Check the TopCashBack app before shopping to access coupon codes and cash-back deals for thousands of retailers. Choose an Amazon gift card, direct deposit or PayPal to get your cash-back earnings. Scan products with the ShopSavvy app to compare prices at major retailers. You can even earn cash-back rewards through PurchPerks. Get it on iTunes, Google Play or Microsoft. The Ebates mobile app works just like the browser plug-in. Browse cash-back offers, coupons and special deals while keeping tabs on your cash-back earnings. Find the app at iTunes and Google Play. 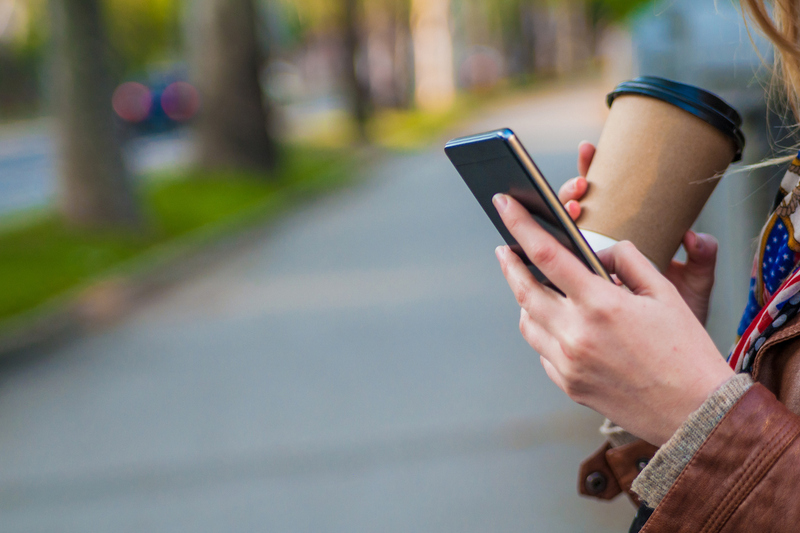 Your Turn: Which mobile shopping apps are your favorites? This post contains affiliate links, which helps us keep the lights on here at The Penny Hoarder. And, in turn, that helps us work to bring you more ways to save! Lisa Rowan is a writer and producer at The Penny Hoarder. Editorial intern Jennifer Smith contributed to this post.